This has been a weird and stressful week. But guess what, it's Friday! 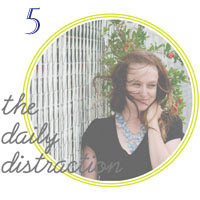 So here are the 5 favorite things about this week. (1) K's healthy/delicious cookies. I ate like a million while they all played cards. (2) M's going away dinner/party. This is him rapping. He was surprisingly good. (3) Dog sitting this little monster. (4) Starting Jillian's 30 Day Shred after quitting about a year ago and actually being able to do it this time. (5) My new buttons designed by V over at Vicki Christine. Love them!! Check out From My Grey Desk Blog for more H54F posts and have a great Friday lovies! good luck on your diet! loved finding your blog! Have a great weekend!! Stop by nichollvincent.blogspot.com and say hi! Thanks Nicholl! No diet for me, just the work out. I enjoy cheese WAY too much! also, jillian's shred is on my to-do list as well. i'm pretty sure its not still in its shrink wrap...hmm? I love my buttons! Thank you again for your amazingness! And you have a good excuse for not unwrapping the shred yet lady! AHHH, I LOVE pugs but have never had one! My neighbor has 2 and so I get my "pug fix" by visiting him next door! Great blog and great layout from your new follower!